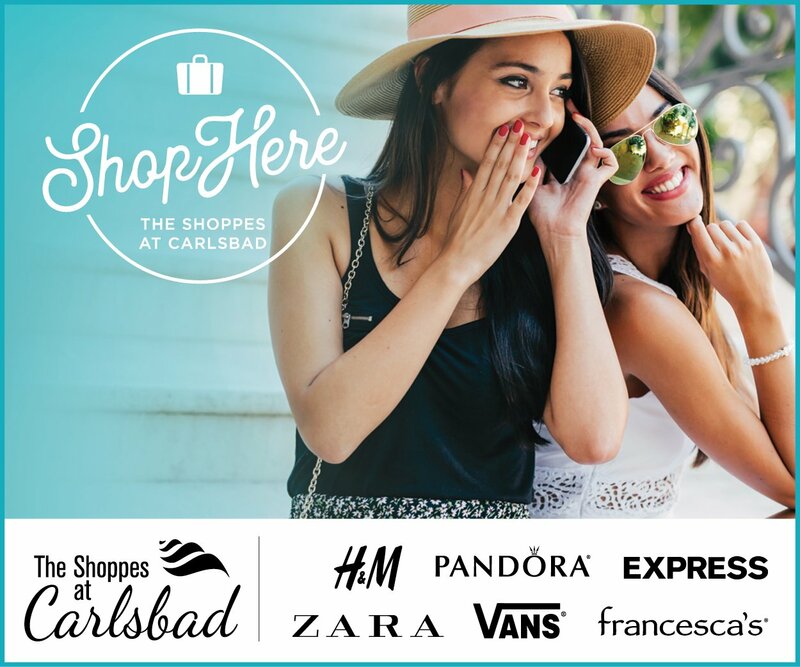 DEL MAR — With perfect weather, record-setting wagering and an eclectic mix of music, movie and television celebrities, the Del Mar Race Track hit the trifecta in its role as first-time host of the Breeders’ Cup. The two-day on-track wagering total of $25,181,317 was a 21.4 percent increase over last year’s event at Santa Anita Park. The total handle of $166,077,486 was the highest since 2010 at Churchill Downs, which held 15 races. This year there were 13. In all, 69,970 people attended — 32,278 on Friday and 37,692 on Saturday — with daily ticket sales capped 37,500 to avoid lines and overcrowding. The theory proved successful with the exception of getting out of the parking lots after the last race. By comparison, opening day for Del Mar’s 2017 summer racing season attracted 38,576 people. The on-track and total handles were $3,505,515 and $14,101,063, respectively. Richie Sambora, former lead guitarist for Bon Jovi, culminated the day-one opening ceremony performing “Where the Turf Meets the Surf,” Bing Crosby’s theme song for the famed seaside track. Sambora, a one-time horse owner who grew up going to the races with his dad, began partnering with the Breeders’ Cup a few years ago when he played the “Call to the Post” on his guitar rather than the traditional bugle. The following year he sang the national anthem at the 2014 event at Santa Anita. 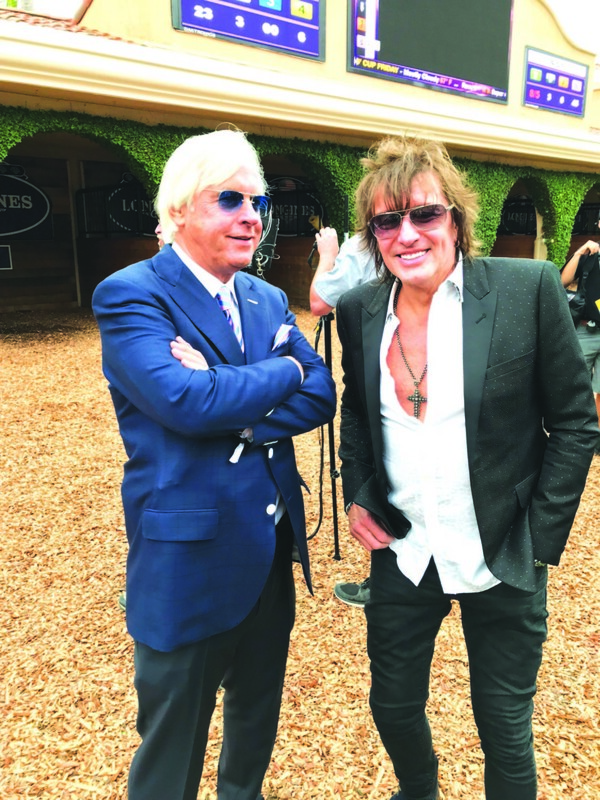 Sambora also spent time visiting the paddock and chatting with Breeders’ Cup and race track officials, trainers such as Bob Baffert and fellow celebrities and in the Trophy Lounge posing for pictures with fans. The venue was one of two temporary, private facilities constructed at the west end of the grandstand to provide additional seating. On the first floor guests dined on a variety of dishes prepared by Pamplemousse Grille owner and chef Jeffrey Strauss. Other celebrities who passed through included singer Jewel, actor and producer Mel Brooks and actors and Breeders’ Cup ambassadors Bo Derek, Elizabeth Banks and Carson Kressley, who said he was having a great time despite a lack of luck with the race results. Also stopping by at the end of day one were 22nd District Agricultural Association President Russ Penniman and fellow board members Lisa Barkett and David Watson. The 22nd DAA operates the state-owned facility, which is hoping to host future Breeders’ Cups. Day two ended with Gun Runner crossing the finish line first in the $6 million Breeders’ Cup Classic, beating out defending champion Arrogate in the mile-and-a-quarter race. The 2018 Breeders’ Cup will be held Nov. 2 and 3 at Churchill Downs in Louisville, Kentucky. A host site for the 2019 event has not been named and no date has been set for that announcement. “It was a terrific success — way beyond where we thought we would be,” Del Mar Thoroughbred Club CEO Joe Harper said to the Del Mar City Council at its Nov. 6 meeting. 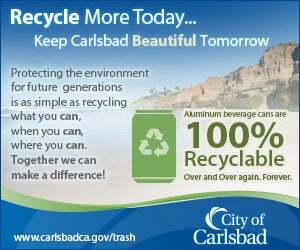 Harper also said it is likely the event will return to Del Mar.